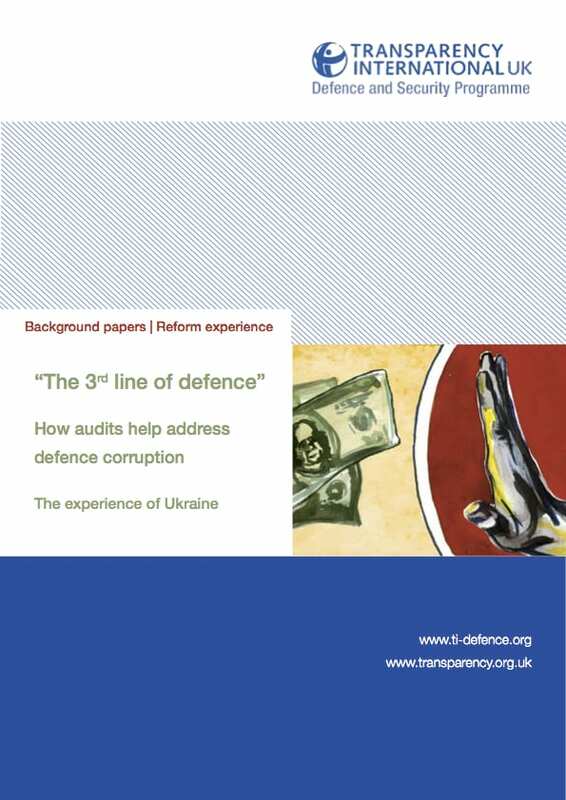 The theme of this report is the analysis of corruption risks in the financial and economic activities of the defence and security sectors, based on a review of the audit reports and law enforcement bodies’ reports published in the period from January 2010 to October 2011. The intention was to combine the approaches of external, governmental, and internal revisors, auditors and law enforcement agencies, in order to highlight ‘red flags’ and warning of the methods of corruption in a simplified form. The second purpose of the report is to discuss the role of internal audit in preventing and reducing corruption in the defence and security sectors. It is not a primary role of internal audit to detect corruption, but it is a role more people expect internal audit to undertake. There is, therefore, an expectations gap that needs to be filled given that internal audit has no legal responsibility to counter corruption.